Wow. That would all go great in my new House. Heehee. 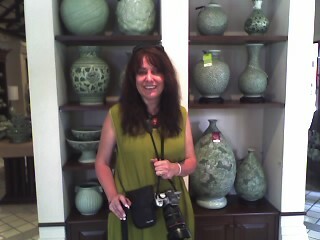 Oh I love celadon! That is the color of the walls in my house. Those ceramics are just beautiful!